Would any of these be in your money-no-object garage? There was much to spend your hypothetical lottery jackpot on at the 2016 Geneva Motor Show with a plethora of new performance-oriented models, many of which require the fruits of six winning balls to run, let alone buy. From the latest to claim the title of being the world’s fastest production car to a more accessible Italian roadster made in Japan, the joys of driving quickly were celebrated in spectacular fashion in Geneva. 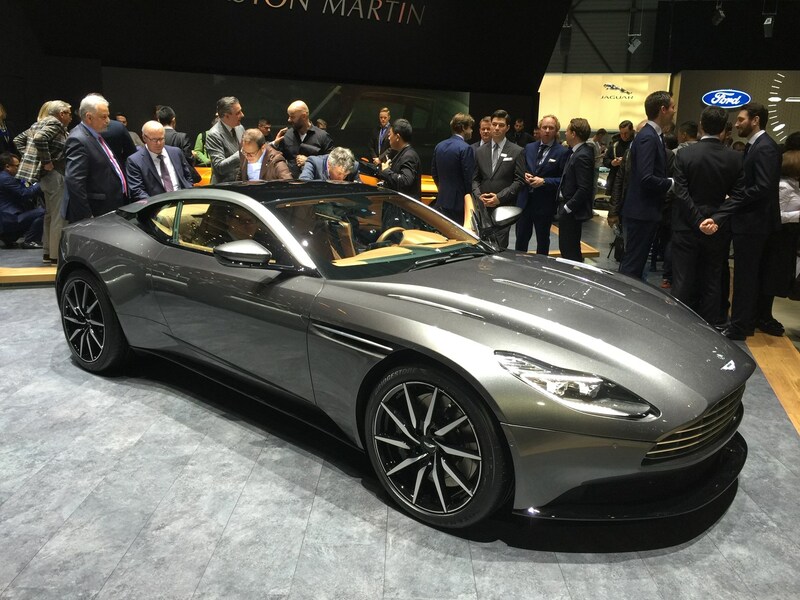 Replacing the aged-but-elegant DB9, the Aston Martin DB11 ushers in an evolution of the luxury marque’s styling direction previewed by the DBX concept at the 2015 Geneva show. The new design features a contrasting arc over the side windows, swept-back headlamps, and additional creases and slots in the bodywork – it looks less fussy in the metal than in photos. Powered by an all-new twin-turbocharged 5.2-litre V12 engine producing 600bhp, the DB11 coupe can reach 200mph and sprint from 0-62mph in just 3.9 seconds. Prices start at £154,900 before personalisation options add significantly to the bill. Why not DB10? That name was reserved for James Bond’s unique Aston Martin in Spectre – plus jumping two digits reinforces the newcomer’s advance over its predecessor, just as when the DB9 replaced the DB7. Apparently. Click here to read more about the Aston Martin DB11 on our sister site CAR. 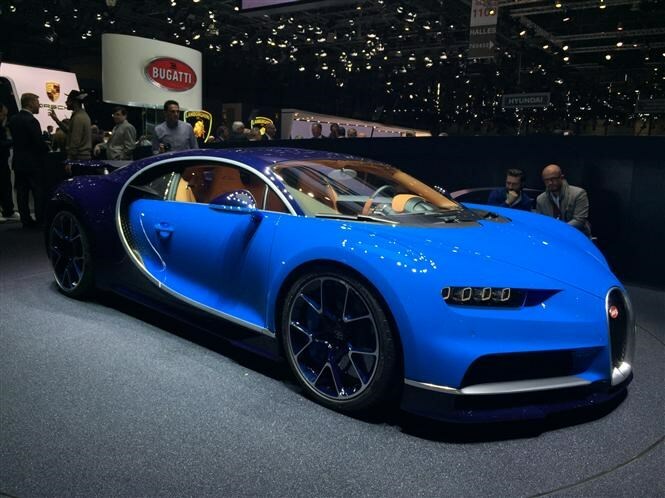 Click here to read more about the Bugatti Chiron on our sister site CAR. Not an all-new grand tourer, the Ferrari GTC4Lusso is effectively a significant mid-life facelift for the FF, albeit with a new name. No surprise then that as before, the three-door shooting brake features four seats and four-wheel drive, with a 6.3-litre V12 engine under that long bonnet producing the goods. At 680bhp it’s enjoyed a 29bhp increase, shaving the 0-62mph time down to just 3.4 seconds. Few would regard the FF as one of Ferrari’s most beautiful designs, but the GTC4Lusso goes some way to redressing that, with 488-esque headlamps and a pair of circular tail lights on either side of the tailgate in place of the single units of before. The interior’s enjoyed a spruce-up too: it still feels beautifully finished, with a new 10.25-inch infotainment screen blending in convincingly to the existing cabin architecture and more information presented to the front seat passenger on their dedicated display. 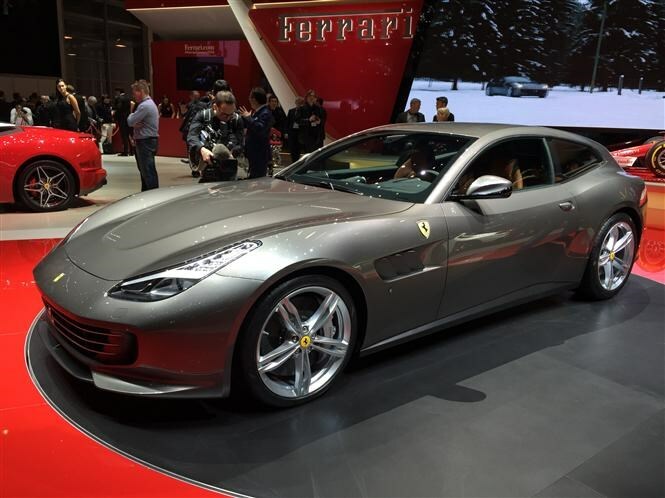 Click here to read more about the Ferrari GTC4Lusso on our sister site CAR. 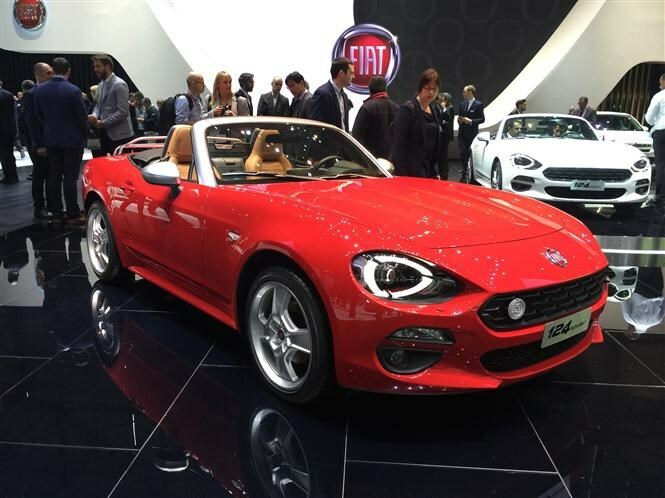 Attainable for a greater number of people is the new Fiat 124 Spider and if you’re thinking it looks familiar, there are two possible reasons for that. Firstly, it’s an unashamedly modern take on the retro lines of the original 124 Spider launched five decades ago; secondly it was co-developed with the Mazda MX-5. It doesn’t appear so at first glance but seeing the car up close confirms every body panel is unique to the Fiat. Save for the Italian brand’s badge on the steering wheel the snug cabin’s pure Mazda, though, but under the bonnet things get more interesting. Out go the MX-5’s engines, replaced by a 138bhp 1.4-litre turbocharged MultiAir Fiat engine, enough for a 134mph top speed and a 0-62mph time of 7.5 seconds. Abarth had a 168bhp trick up its sleeve unveiling its version of the 124 Spider, complete with matte black bonnet and bootlid. Click here to read more about the Fiat 124 Spider and Abarth 124 Spider on our sister site CAR. Three years since the Jaguar F-Type first saw the light of day, the British marque’s continued to hone its rorty sportster, eking out yet more performance and drivability, including the recent introduction of all-wheel drive. Now Jag’s gone one step further by bolstering the 5-litre supercharged V8 to deliver 567bhp in the F-Type SVR. 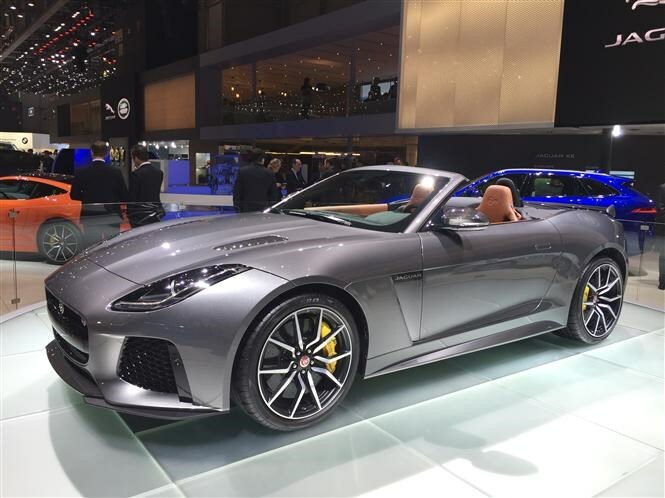 Developed by Jaguar Land Rover’s Special Vehicle Operations – the same team behind the Range Rover Sport SVR – the latest F-Type will scorch from 0-62mph in 3.7 seconds and reach 200mph in Coupe form; the Convertible’s not far behind at 194mph. With power being sent to all four wheels, this is a home-grown supercar that can handle whatever the British climate throws at it. Click here to read more about the Jaguar F-Type SVR on our sister site CAR. Just 20 coupe and the same number of roadster examples of the Lamborghini Centenario are set to be to built, marking 100 years since the birth of company founder Ferruccio Lamborghini. There’s bad news if you’ve got the requisite £1.6million burning a hole in your pocket – they’ve already all sold. Underneath the angular bodywork – which wouldn’t look out of place patrolling the streets of Gotham City – is a stretched version of the Lamborghini Huracan’s platform, powered by an uprated edition of the Aventador’s 6.5-litre V12, with 760bhp on tap. 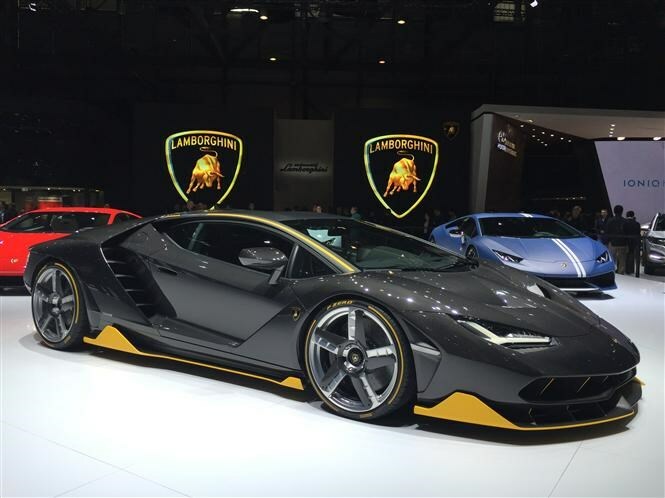 Click here to read more about the Lamborghini Centenario on our sister site CAR. The concept-to-reality Lexus LC was shown at January’s Detroit Motor Show, in LC 500 guise with a thumping V8 under its long, angular snout. 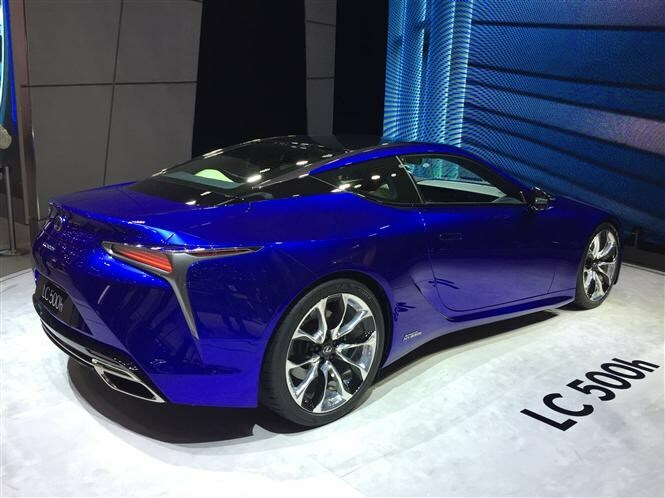 Its European debut at Geneva’s marked with the arrival of a petrol-electric hybrid powertrain in the form of the LC 500h. There’s 354bhp on tap from a 3.5-litre V6 and a pair of electric motors, but more intriguingly, Lexus has equipped the LC 500h with two gearboxes. A CVT type boosts overall efficiency but a more conventional four-speed automatic helps deliver a sportier feel that other Lexus hybrids simply, well, don’t. Exact performance and efficiency figures will be revealed closer to the LC’s spring 2017 on sale date but expect the 500h’s stats to be as jaw-dropping as the Lexus’s looks. Click here to read more about the Lexus LC on our sister site CAR. On sale from April 2016 at £45,600 is the Lotus Elise Cup 250, the lightest, most powerful variant in the model’s 20-year history. Supercharging and further tweaks have boosted the Toyota-sourced 1.8-litre engine up to 243bhp, with the 0-62mph time shrinking to 3.9 seconds as a result. Not only that but the already lightweight Elise is reduced by a further 21kg thanks to carbon fibre seats and forged alloy wheels among a raft of changes. Designed to excel on track the latest Lotus should also remain a relatively sensible proposition as a daily driver. 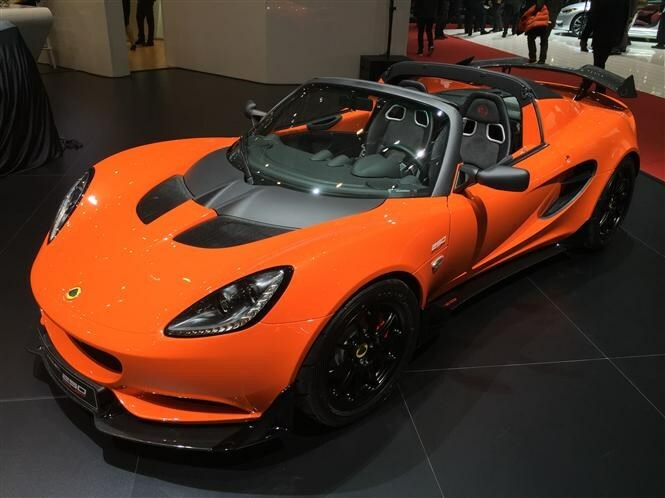 Click here to read more about the Lotus Elise Cup 250 on our sister site CAR. Have you heard of a guy called Benny Caiola who had a supercar named after him? Enter the Pagani Huayra BC. It’s new suffix, a special thank you to Benny for being the first ever Pagani customer. Although it’s a focused track car, the Huayra BC’s fully road-legal, its 6-litre twin-turbo Mercedes-AMG engine producing in the region of 800bhp – that’s enough to nudge it past 220mph. The Huayra’s undergone quite a transformation with bodywork and chassis modifications introduced to ensure it can best use the extra grunt, as well as shedding over 130kg in the process. Preserving the Pagani’s exclusivity, only 20 BCs will be produced, each at €2.35million, before taxes are added. 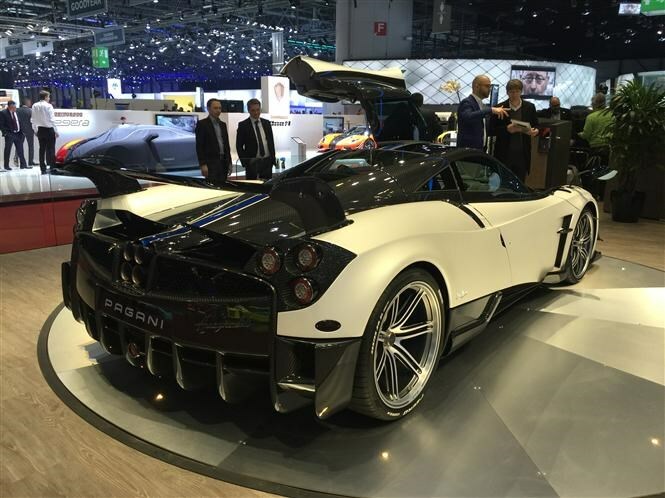 Click here to read more about the Pagani Huayra BC on our sister site CAR. With a 493bhp 4-litre engine in its tail and a manual gearbox, the Porsche 911 R is set to have wannabe owners clambering over each other to order one. This latest iteration of the evergreen 911 enjoys the recent bodywork enhancements of all 991.2 derivatives together with the firepower of the 911 GT3 RS, but without its track-developed wing arrangement. It won’t be the fastest 911 variant but the R’s set to be the one to sate the yearnings of many a Porsche enthusiast. Appetites whetted. 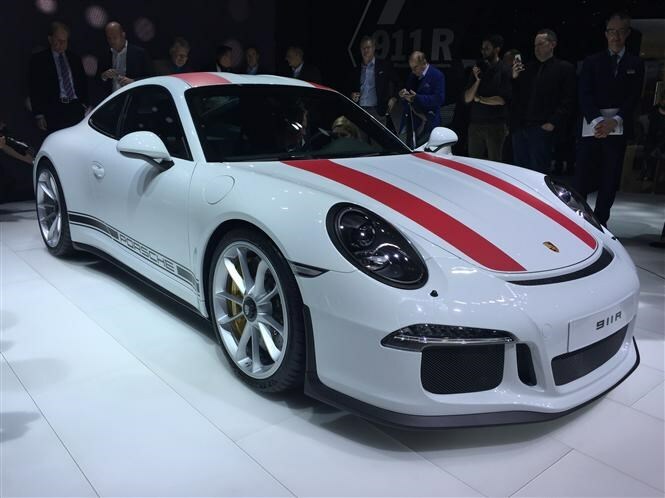 Click here to read more about the Porsche 911 R on our sister site CAR. Which other sporting heroes caught our eye at Geneva? If you didn’t think the Ford Fiesta ST was quite quick enough then rejoice at the arrival of the ST200. Packing 197bhp the hot hatch hero’s 0-62mph time is shaved down to 6.7 seconds. Geneva also saw the arrival of the McLaren 570GT, a more practical version of 2015’s 570S but with a side-hinged rear window to access the boot. Even though production of the McLaren P1 finished last year, the firm’s Special Operations division’s showing off its skills with a blue carbon fibre version. Supplementing the smaller SLK-replacing Mercedes-Benz SLC-Class is the facelifted SL-Class, the range topped by two different AMG versions. In addition to the 911R there was a formal debut for the four-cylinder turbocharged Porsche 718 Boxster range which is available to order now.